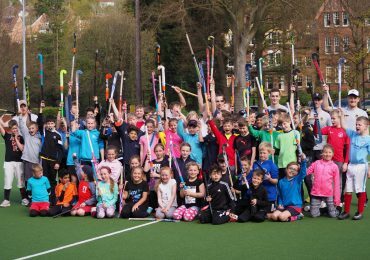 Hockey is thriving at Caterham and is augmented by our Hockey Academy. 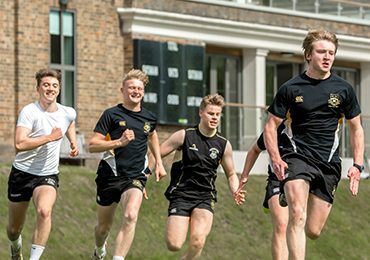 It is the main sport for boys in the Spring term with field training taking place twice a week, building to three times a week in the Fifth Year and the Sixth Form. There are also additional fitness and conditioning sessions, short corner practices and video analysis sessions. Matches are played every Saturday and our fixture list sees Caterham teams compete against excellent hockey schools such as Trinity, Dulwich and Kingston Grammar School. In addition county tournaments and National Cup games happen mid-week. Outside of the main hockey term, there are indoor and outdoor training sessions during the Autumn term while the Hockey Academy (evening and school holiday hockey training) runs all year round. The expertise of coaching within the staff is superb. Our Director of Hockey and Hockey Academy Manager Peter Friend plays for National Premier League winners, Wimbledon HC. In addition Peter is the Head Coach of the North Downs England Hockey Performance Centre. Our Head of Senior School Hockey, Robert Mugridge, plays his club hockey in the National League for Oxted HC and also represents Wales at senior international level. As a result of the expert tuition that they receive, players develop quickly upon joining the school, progressing to a good playing level very quickly. Numerous players go on to play for Surrey and several play for the South of England in their respective age groups. In addition, girls’ hockey takes place in the Autumn term. This sport sits alongside our other main girls’ sports, netball and lacrosse, with training taking place on Thursdays after school. The girls have several fixtures against local schools including Lingfield Notre Dame and Reigate Grammar School. They also enter local tournaments where their skills are tested further. Girls for whom hockey is their main sporting passion, they may be permitted to train with the boys in the spring term to allow them to further enhance their skills.